These days I am seeing a new type of bully. They’re called cyber bullies. I consider them bullies of the first magnitude. Over the internet the inane individual can be a bully without the risk of being called out. 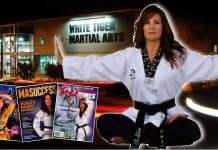 In my early career in the martial arts I studied Jiu Jitsu and Karate. In order to make rank I had to do some randori and kumite. I excelled in both but they weren’t my passion. Even as a beginner I realized that what was practiced in free sparring wasn’t especially useful for the streets. Growing up in the back allies and side streets of the inner city that comprised Chicago’s violent South Side, self defense was my reason for studying the arts and therefore my primary focus. Some involvement in jiyu kumite (free sparring) was necessary to make rank and I was required to fight in the occasional tournament. With my mindset and having trained with the people that I trained with I was accustomed to more contact than was allowed in tournaments. On the occasions when I lost it was most often because of disqualification. Bottom line was, I loved to fight. I didn’t want to spar, I wanted to fight. In the neighborhoods I came up in aggression was the rule. Violence wasn’t occasional it was constant. 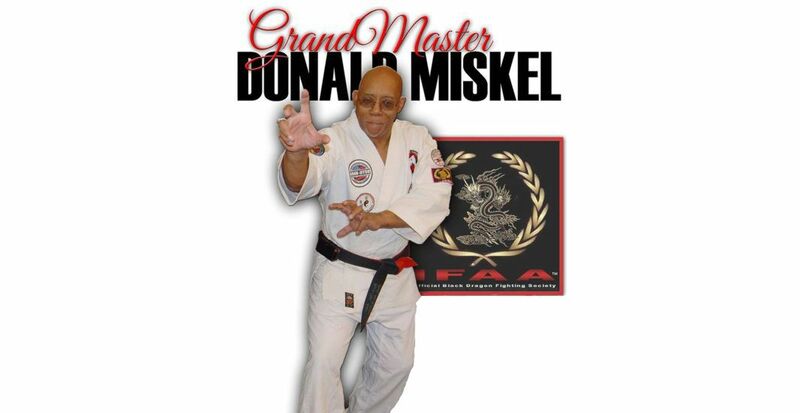 To a large extent, that shaped my approach to the martial arts. Fortunately, I’ve lost much of that aggressive edge but I still don’t respond well to confrontation. I have a tendency to deal with aggression with greater aggression. Even as a Christian and a pastor I have to work to curb my aggressive tendencies. In my old age I’ve learned to stop those tendencies short of violence. I’ll get angry but unless threatened, attacked or backed into a corner I harness my anger pretty well. Even so, it isn’t a good idea to make me feel threatened. I’m not a pacifist and, though my intentions are good, it can still get out of hand. I will defend myself and I’ll do whatever I have to do to protect my family, friends and loved ones. The emphasis here is on “whatever”. By that I mean anything. I will do what’s necessary to protect what is mine. The Bible says, “Follow peace with all men and holiness without which no man shall see God (Hebrews 12:14)”. Good words to live by and I strive to fulfill them. Unfortunately, I have not yet reached perfection. I am definitely a work in progress. Meaning, I fall short, so pushing isn’t a good idea. I’d regret it later but I’m prone to get caught up in the moment and if pushed I’ll probably push back. Hard. One thing that burns my britches is a bully. A bully is someone who will harass or hurt another who is unable to defend himself. Bullies are generally cowards. More often than not when faced with someone as big or as capable as themselves they’ll back down. A bully is one of the few things that will push me over the edge. I spent much of my youth beating the snot out of bullies. I was quick to come to the aid of the weak. On occasion I took a beating trying to defend others. I fought often with varying results. By the time I reached twelve years old I decided I had taken my last whipping on the streets. I fought like a berserker and people tended to leave me alone. I began in the martial arts at about that time. Not because I needed it to defend myself but because I was attracted to any form of combat. The martial arts plus a stint in the service during the Vietnam conflict leached away much of my love of violence but I’ll still face off against a bully. It’s too deeply ingrained in my psyche to completely stifle. I just can’t stand bullies. These days I am seeing a new type of bully. They’re called cyber bullies. I consider them bullies of the first magnitude. 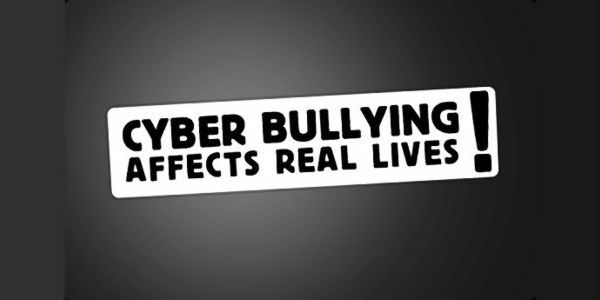 Over the internet the inane individual can be a bully without the risk of being called out. All it takes is an internet connection and a key board. Cyber bullies can hide behind anonymous screen names and say whatever they want about whomever they want. It’s easy to sit behind a keyboard and criticize and disrespect another person. Especially if that person doesn’t know who you are. 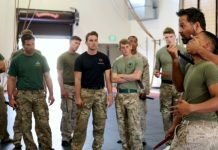 Many ‘would be’ martial artists consider themselves experts in practically every aspect of the martial arts, many without ever having taken a class or throwing a reverse punch. Most couldn’t punch their way through a wet Kleenex much less cross swords with a trained martial artist. 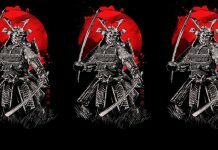 These armchair samurai feel that they are knowledgeable enough to criticize and even attempt to defame real martial artists who have dedicated their lives to the arts. I’ve seen those types on various blogs and message boards trying to tear down the reputation of people that they have never met and couldn’t hold a candle to. It’s safe and easy to do from the comfort of their homes, especially since the person they are talking about can’t call them to task. I don’t advocate calling such individuals out. That type of foolishness is reserved for Saturday morning kung fu flicks. No martial artist worth his salt will waste his time by confronting such individuals. If a person insists on being that foolish all the physical reprimanding in the world wouldn’t straiten them out. Beside, we have to consider the source. If these people had any heart they wouldn’t hide behind a keyboard. Most of them couldn’t put up a good fight if their lives depended on it. They are no more than armchair samurai indulging in keyboard kumite. Unfortunately they aren’t the only ones who soil the internet with negative ideas, vindictiveness and intolerance. Politics has always been a problem in the martial arts in the U.S. One style doesn’t like another style or one organization can’t stand another. Instead of acting like responsible adults they fight and bicker among themselves like little kids with chips on their shoulders. The martial arts have long been known to produce humane and caring individuals. Training in such arts should make one realize how fragile human life is. Hopefully it will also teach how valuable life is. It isn’t hard to take a life but it’s impossible to replace that same life. A real martial artist is careful about how he treats others. His is a philosophy of tolerance and courtesy. Unfortunately, too often, something gets lost in the translation. 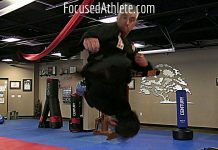 Some of today’s martial artists are worse than many non practitioners. We are called to a higher purpose. As martial artists we are, or should be, part of a brotherhood. We have shared a life of blood sweat and tears that the uninitiated could never understand. This should give us a commonality that garners mutual respect. Most of you don’t need me to tell you that such is not always the case. You’ve learned it from experience. Most of us have held to our integrity. Some, on the other hand have yet to learn this simple lesson. I’m an old school martial artist. I’m eclectic in my practice but I’m traditional in my philosophy. Like many of that ilk and most of those in my martial arts generation, I’m not especially thrilled with the direction that the arts have taken. 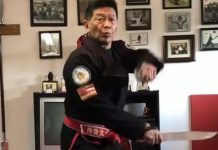 Skilled violence is being passed off as martial arts. Scientific techniques are being taught to people of questionable character with no spiritual input. Too often what we end up with are trained bullies. Not that it makes them much of a threat. People today don’t even consider unarmed combat an option. If confronted or offended they’ll just shoot the offender. No muss, no fuss, no bother. Very little training involved. It’s all a part of the same negative and antisocial attitude that is plaguing these new members of the martial arts community. As a martial arts teacher, Christian and minister it grieves me. I love the martial arts and its discipline and traditions. It breaks my heart to see the direction it has taken. Ours is not an Eastern culture. Here in the U.S., as in most of the western world, we believe in free enterprise. Too often this means winning at any cost. A capitalistic society sometime encourages success and self fulfillment often at the expense of others. Martial arts have gone the same way. Commercialism lends its own philosophy to the martial arts. Profit is the bottom line. Success is gauged by the number of students and by dollars and cents. The amount of income trumps the quality of outcome. Students are fed through a karate mill (feel free to interject the martial art of your choice here) and spit out the other end as black belts, often in a year or less. 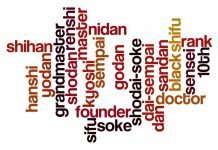 I remember when it took from five to eight years to achieve shodan. Studying a long time didn’t guarantee promotion to black belt. Only a chosen few managed the feat. Students today are even being taught by video and DVD classes or online, which basically means they are training themselves. No one is there to correct an improper technique or to fine tune their efforts. I’m not saying that a few good students aren’t produced this way but I have to believe that they are few and far in between. Still, the Gods of free enterprise are appeased and another black belt is unleashed on the world, often with questionable abilities. These are the instructors who will be teaching the martial artists of tomorrow. I’m not saying that a simple system of self defense can’t be taught by long distance study but such training won’t turn out martial arts masters. I have seen a few good long distance training videos but these should be used when no school or teacher is available. They can never replace hands on training. The student, sensei method of training didn’t come about by coincidence. It’s a tried and true method. I have dedicated a great deal of my life to the martial arts. I can hardly remember a time when I wasn’t a martial artist. I credit the martial arts and those wonderful individuals that I was blessed to train under with making me the man that I am. In an environment that devoured and destroyed its young males, I not only survived, I thrived. I saw so many of my friends fall victim to the mean city streets. Many became hopeless addicts or institutionalized life long prisoners. Some were cut down in the streets by drug and gang violence. Along with good parents it has been my faith in God and my involvement in the arts that has sustained me. I came through a war and the violence of the streets of Chicago in one piece. The martial arts played a large role in that. I owe much to the martial arts and the good men and women who I’ve met through my involvement in this worthwhile endeavor. Those who do nothing but gripe and criticize others should find something that fulfills them. Then they wouldn’t have to build themselves up by tearing others down. I am friends with some of the most fantastic martial artists that the last half century has produced. It offends me to see their names dragged through the mud by people who are nothing more than computer warriors. As close as the nay sayers who sully their names have come to any type of combat is sitting in front of a video game. I feel that if you don’t have anything good to say you shouldn’t say anything. As the saying goes, “it’s better to keep you mouth closed and have people think you’re a fool than open your mouth and prove it”. Many of these martial arts master of whom I speak are up in age but I would hazard to guess that they could still put any of those keyboard warriors over their knees and give them the spanking they so richly deserve. Fortunately they have more class than to get involved with such unwise and foolish individuals. I like to think that I do also though at times I wonder. That thing that I have about bullies puts my restraint in question. 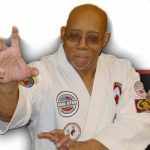 To my fellow martial arts instructors and masters, I implore you to teach the true way of the martial artist to your students. We’re supposed to be more than fighting coaches. We are supposed to be builders of character and molders of good reputable students. We are responsible for the type of students that we turn out. They are a reflection of us and our character. As teachers we are no better than the students that we turn out. I guess that I’ve done my share of fussing and griping here. If so, I ask you to look beyond my head and see my heart. I love the martial arts too much to see it compromised and I love my fellow martial artists too much to see them belittle themselves and others. We’re better than that. I think it’s about time we showed it. Anyone can talk a good game, but the proof of the pudding, Yeah, I know, I’m mixing metaphors, but what do you expect? I’m a martial artist, not a writer. The more discerning of you know what I’m trying to say. God bless you by brethren. Train hard and go with God.